On Monday October 15th , Cypress Ranch Choir had it’s first concert of the year and I’m here to fill you in if you missed out on the fun. 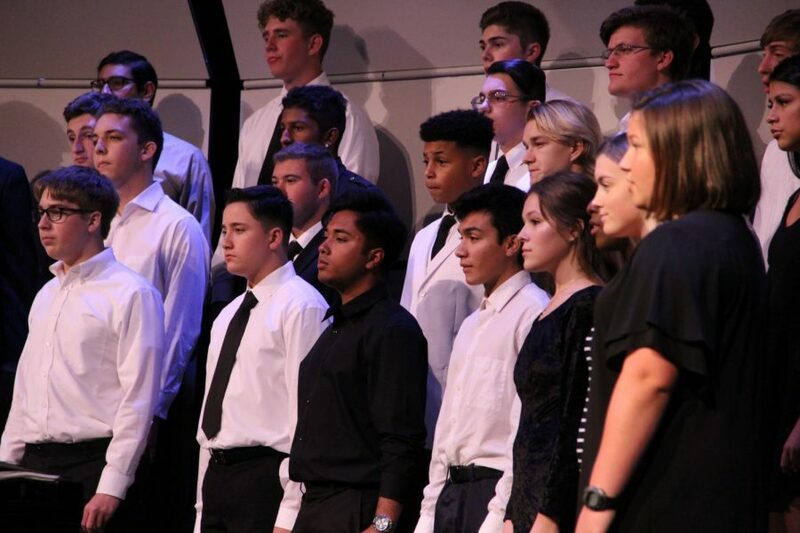 And finally, together in harmony, Combined Choir came together for their last showstoppers, “The Lord Bless You And Keep You” and our Cypress Ranch Alma Matter. Overall, the show was a treat for all who attended and a pay-off of hard work for all of Cypress Ranch choir, who did a great job. If you want to find out more about Cypress Ranch choir, please go to ranchchoir.com.